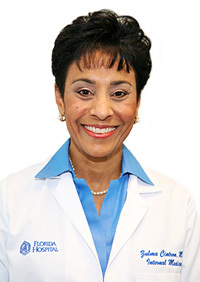 Zulma Cintron, MD, FACPWhat Is An Internist? Per the "American College of Physicians - American Society of Internal Medicine," Doctors of Internal medicine (also called "internists") are doctors that treat adults - specialists concerned with all aspects of adult (over age 18) medicine, excluding surgery and advanced gynecology. An internist's concerns include arthritis, hypertension, heart and lung disease, diabetes and thyroid disorders, stress, obesity, as well as just about any other adult illness. Internists focus on adult medicine - not delivering babies, treating children, or performing surgery. Internists, just like general practitioner or family practitioner doctors, can be your primary care doctor and care for patients for life - in the office or clinic, during hospitalization and intensive care, and in nursing homes. When other medical specialists, such as surgeons or obstetricians, are involved, your internist coordinates and manages patient care. In fact, internists so often serve as medial consultants to physicians in other specialties that they've earned the nickname, "the doctor's doctor."